A diverting glimpse into the inner workings of the Hearst organization early in my city editorship furnished the clue to a number of puzzles in subsequent years. The whimsicality of the incident sharpened its significance. James O’Shaughnessy became managing editor overnight. The day before, he had been a reporter on the morning edition. O’Shaughnessy was a gentleman of high character. Years later he was a popular figure in national advertising circles. He told me of his appointment with a sheepish grin. It was not of his choosing. In fact, it embarrassed him. He was blindly obeying instructions. The order had come from Mr. Hearst. As for his duties—he didn’t know where or how to start. He would have to rely on my guidance. Noon arrived before the mystery cleared. 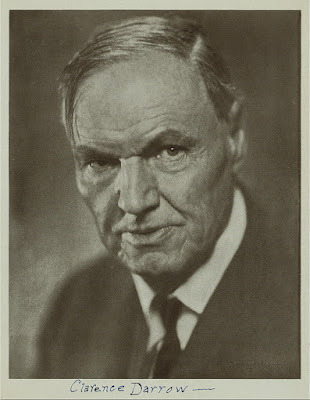 O’Shaughnessy was appointed managing editor to avert trouble, fear of which had been planted in W. R. Hearst’s mind by Fred W. Lawrence, brother of the redoubtable Andrew M. The latter had been divested of authority over the evening paper. He was publisher of the Morning American. Fred, also shifted from the afternoon staff, was a sub-editor under Andy. He had not put aside his interest in the publication from which he had been transferred. Perhaps it was sustained by a sense of loyalty to Mr. Hearst. Maybe it was only an urticant disposition to meddle. Something of both may have entered into the dither he professed over the streamer in red ink across the top of the first page of the Evening American's last issue. It wasn’t the crimson type that caught Fred’s eye. That was a regular feature of the edition. It was the subject that excited his concern. The story involved the elopement of a Roman Catholic priest. His companion was the wife of Mike McDonald, a Chicago “gambling king” and underworld nabob. The item came from a local press association. Its accuracy was not questioned. It was the display that jolted Fred into what was either the suffering or the simulation of a panic. The possible consequences were too dire to leave in the hands of the regular editor. Hearst was taking the waters at Mount Clemens, Mich. Fred got him on the long-distance telephone. The conversation began with a review of trying days they had experienced together in California. Fred, who had been a member of the San Francisco Examiner staff at the time, reminded his chief of the hectic ordeal that paper underwent because of the disapproval of a group of Roman Catholic leaders. He was afraid that even a worse situation confronted the Hearst dailies in Chicago. Fred painted a melancholy picture of the storm that was sure to burst in the morning. The impression this made on Hearst was indicated by his action. He instructed that somebody of good standing as a Roman Catholic, with a distinctively Irish name, be immediately installed as managing editor of the Chicago American. O’Shaughnessy fitted the description. His presence on the job would be the best answer to any criticism that arose. Of course, Fred Lawrence’s prediction failed. The day went by without a flicker of Roman Catholic anger. It was O’Shaughnessy who that night set Hearst’s misgiving at rest. He welcomed relief from the humbug into which he had been thrust. O’Shaughnessy found no pride in his one-day career as a managing editor. He didn’t enjoy serving as a “stall.” There were several lessons for me in his experience. One dealt with priority of access to W. R. Hearst’s ear. My first face-to-face meeting with Hearst, a few days later, left me midway between a laugh and a gasp. It was in February, 1904. He was then a candidate for the Democratic nomination for the presidency. “The great white chief awaits you in the throne room,” announced W. S. Brons, whose numerous duties included secretarial service to visiting executives. Brons found a sly enjoyment in using the two phrases he had put together. “The great white chief” was a tribal offering of fellow-braves from California. It spread through the organization. It sparked a friendly banter as often as it streaked an unctuous sycophancy. “The throne room” was wholly ironic. It referred to a cramped cubby-hole, with a second-hand roll-top desk, a pine table and several unpainted chairs. The Chicago American's sanctum, it was the only inclosed space on a floor of 10,000 square feet on which the shouts of a hundred workers vied for hearing with the clatter of dozens of chattering typewriters, a score of clicking telegraph instruments and a battery of engravers’ planing and routing machines. The purpose of “the throne room” summons was never disclosed. “The great white chief” shook my hand in greeting, murmured, “Never mind, thank you; I must hurry to catch my train,” and moved toward the door. The hugeness of Hearst’s frame as he glided past diverted me for a moment from Brons’s bewilderment. There, on the toes of a dancing master, with the suppleness of a lightweight boxer, moved the biggest publisher in America—biggest physically and biggest in extent of operation. Did his brain match that great body? A decade elapsed before a satisfying answer came to this question. Meanwhile, there could be no doubt about the range of Hearst’s temperament. A fleeting contact had revealed a volatility at amazing variance with all the other signs of his nature. It betokened contradictions destined to challenge many of the world’s mightiest. Hearst’s visits to Chicago were frequent that spring. He spent much time with “Andy” Lawrence, his chief factotum in politics in that period. Andy was handling preparations to capture the Democratic national convention in St. Louis in July. A number of state delegations, including Illinois’, had been instructed for Hearst. There was hope in some quarters that William Jennings Bryan would swing his own followers to the Californian’s forces. Bryan was deeply indebted to the publisher. Perhaps no other twenty men had contributed as much aid to the Nebraskan’s two campaigns for the presidency. In addition to great sums of money, Hearst had given the support of newspapers with the largest circulations in New York and San Francisco. On July 1, 1900, he inaugurated the Chicago American for the putative purpose of rallying the Middle West to the Bryan standard. The activities of Hearst’s political advisers brewed a sour potion for me. My professional code prescribed “singleness of devotion to newspaper duty.” It required “complete independence from divergent accountability or commitment.” And every day Hearst was becoming more deeply involved in accountabilities and commitments divergent from my conception of newspaper duty. Selfish considerations gave force to ethical directions. Any impairment of my employer’s journalistic leadership might abridge possibilities of my own career. So, the bee that hummed presidential tunes in Hearst’s ear buzzed penitential notes in mine. During the quarter of a century of my membership in the Hearst organization, I never wrote, nor did I ever direct the writing of, one article or story intended to advance Hearst’s personal ambitions in politics. I never assumed a duty that required advocacy of a partizan program. Whenever or wherever political matters arose in the sphere of my responsibility, they were assigned to an editor who received specific instructions to report directly to W. R. Hearst. The soundness of this course for me was emphatically affirmed when, at the end of twenty-five years, it qualified my reason for withdrawal from the Hearst service. My adherence to that path was the fruit of an alliance between profound disgust for the chicanery of politicians and a passion for journalistic freedom from prejudicial bias. It was given point by a curious incident at the Democratic national convention of 1904. Handling the news staff at that gathering brought me one more fetid whiff of inside politics. 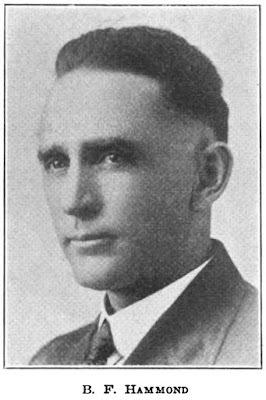 Clarence S. Darrow had been chosen as the spokesman for Illinois to second the nomination of W. R. Hearst. We lacked an advance copy of his speech. All other efforts to get it having failed, the task fell on my own shoulders. The convention had taken a thirty-minute recess. The hall was half empty. Search discovered Darrow sitting alone in a dark corner. He was in a grouch too thick for talk. He wasn’t going to do any speaking that night. Why? The answer was up to John P. Hopkins, chairman of the state delegation. Hopkins was a notable figure. Reputedly a millionaire, he had introduced kid-glove methods to the ward heelers of Chicago. They were awed by the silk hat from which he was inseparable. I found him beside the Illinois standard in conversation with a group including Roger C. Sullivan. It was Sullivan who gave the word “boss” its real meaning to the Central West. Hopkins was Sullivan’s foil. With other machine leaders, both had accepted the primary instructions for Hearst as a bitter pill. A few blunt questions hoisted the steam gauge. Hopkins sneeringly explained that the Illinois delegates, at a special caucus that afternoon, had elected Free P. Morris, of Watseka, their nominating spokesman. That left Darrow out. 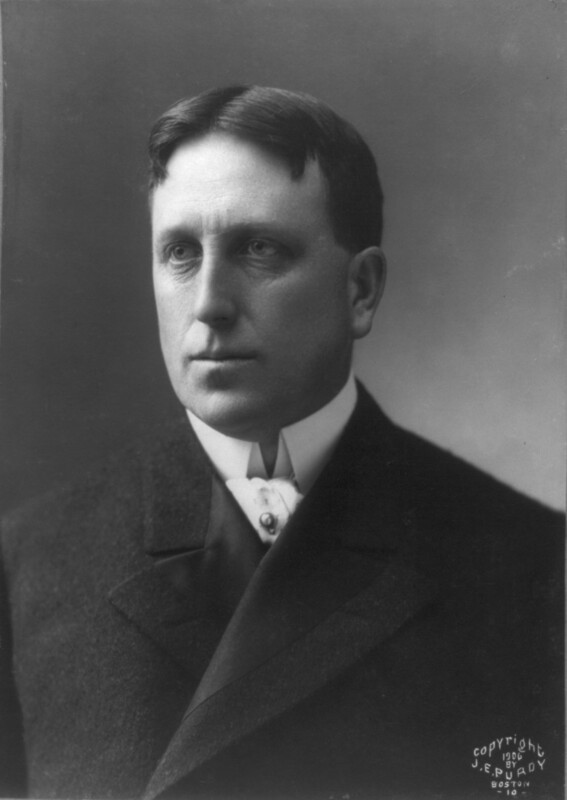 Morris had openly opposed Hearst’s candidacy at a meeting of the Committee on Rules the day before. Now, his choice to speak for the man he flouted was a travesty on the will of the electorate. Morris was standing behind Sullivan. Addressing him, I asked: “How can you square what you did yesterday with what you are doing today? Isn’t this a trick against the voters who sent you here?” Morris’ tongue was not so ready as Hopkins’. “How dare you come into this delegation and insult its members?” demanded the gentleman who never forgot his silk hat. “Get out of here before you’re thrown out!” Mr. Hopkins’ face was a deep purple; Mr. Sullivan’s was a speckled white; and Mr. Morris’ an olive green. The surrounding crowd was agape. Mr. Hopkins should not have been startled by the response. It was automatic. It was the universal retort of the challenged male from schoolboy to oldster. Whether the actual verbiage ran “Let’s see you try it,” or “I dare you to try it,” or “Come and do it yourself,” it slipped into the groove supplied by every language for such occasions. But this banality carried a cracker. It was a pledge to remain on hand to gather “all the facts to which the people of Illinois were entitled.” That put a crusher on Hopkins’ topper. Literally. It was a lamentable finish of a really fine specimen of lustrous headgear. Hurling his hat to the floor, Hopkins stamped on it. On the stage, the gesture would have been a comedy wow. Here in the center of a national convention, it was too ferocious to be altogether funny. “I’ll drive you out of Chicago!” Hopkins roared. The Chesterfieldian hero of “Hinky Dink” Kenna and “Bathhouse John” Coughlin was making a show of himself. The intensity of his rage should have daunted me somewhat. Perhaps it did. But an answer to his second threat came from the same mechanism that clicked off my reply to his first bluster. “If you do, I’ll bid you farewell in the county jail!” was flung out in a voice that seemed too hoarse to be mine. Andy Lawrence afterward asserted that he had saved me from serious injury. Perhaps my gratitude on that score was wanting. If any rescuing were needed when Andy rushed onto the scene, it was for Hopkins and his companions. They seemed on the verge of prostration. Apparently, they detected in me hostile potentialities beyond the range of my own cognizance. Darrow made his speech. The Hopkins-Sullivan clique had planned to use him as a whipping boy. They detested Lawrence even more than Hearst. By humiliating Darrow they purposed to show Hearst that Andy’s pretense of controlling the Illinois delegation was mere buncombe. This schedule was broken up by an attack of cold feet. Kicking a silk hat has been known to induce such a seizure. Details of the episode were important to me chiefly as strands of the net that afterward entangled my most difficult problem in the Hearst realm. It was at this 1904 convention that William Jennings Bryan exhibited his finest sample of political adroitness. Twice he had led his party to national defeat. Conditions were not propitious for a third trial. He must hold on to the reins without taking the risk of a ride. Let another jockey make a losing effort. The novice would be sure to handle his mount differently. He would discard the free-silver whip. He would finish far behind the marks set by Bryan. Then Democracy would be in better fettle to muster once more behind “the peerless leader.” The Nebraskan never dropped a stitch in the weaving of this program. He didn’t make the mistake of sponsoring an aspirant who might be nominated. Instead, he espoused the hopeless and innocuous candidacy of United States Senator Francis Marion Cockrell of Missouri. If it is the choice or wish of this Convention that the standard shall be placed in the hands of the gentleman presented by California, the man who, though he has money, pleads the cause of the poor; the man who is best beloved, I can safely say, among laboring men, of all the candidates proposed; the man who more than any other represents peace; make Hearst the candidate of this Convention, and Nebraska will be with you. On the first roll call, 997 delegates being entitled to vote, 194 were announced for Hearst. On a later ballot he received 263 votes. That was the closest he ever approached to his life’s highest ambition. But he kept trying for the goal a dozen years after Bryan had ceased to be a real contender. The discord between the Chicago American’s “throne room” and its imposing owner was stressed by the girlish elegance of the brunette beauty who sat beside him. She was his bride of a year. 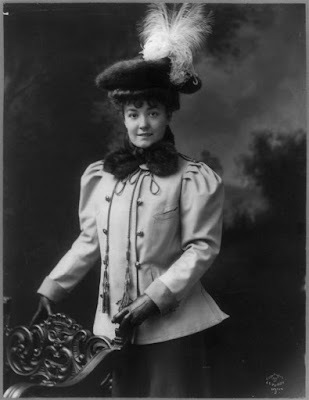 Millicent, daughter of George L. Willson, “champion buck and wing dancer of America,” she was known to several members of the staff. They had written pleasant notices of her charm as one of the two Willson sisters, a theatrical team of moderate success. This was during the reign of the Gibson girl—that model of femininity in which was concentrated such glamor as no subsequent type has attained. Its creator, Charles Dana Gibson, idealized a woman above the average height. Millicent Willson’s admirers credited her with more points in carriage and feature than she wanted in stature to conform with this ideal. Hearst’s political satellites had rejoiced over his marriage. The mantle of domesticity might serve as an armor against his traducers. They were myriad. Their energies were applied mainly to painting him as an unrivaled voluptuary. Some of their tales depicted him as a sort of Haroun al Raschid, combining within himself the distinguishing attributes of Lothario, Don Juan, Lovelace and other front-line libertines. One of the most persistent fictions included the name of a yacht on which he was pictured cavorting along the Nile with a hundred Broadway nymphs. But the role of a devoted husband did not silence Hearst’s detractors. It merely detoured the vehicles of their malice. It took a long time for Gene Byrnes, the creator of the very successful kid strip Reg'lar Fellers, to get on the topper bandwagon. While most Sunday strips had gained toppers by the late 1920s, Byrnes resisted until 1934*. He could do that sort of thing because he owned the copyright to his strip, and if a syndicate wanted him to do something he didn't want to do, he could easily shop his feature to another distributor, something he did regularly, especially in the 1920s. In 1934, though, the pressure to do a topper finally became great enough that Byrnes conceded. A lot of that pressure would have been in the nature of plain ol' dough-re-mi. A Sunday that could be split up into two halves was very attractive to newspapers, for two reasons. Number one is that it gave them the opportunity to replace one feature with a lucrative half-page ad, and number two is that the 'feature count' wars were on, and a strip and its topper counts as two features. So on the masthead, where a paper wanted to wow customers by saying their comic section had "50 Great Features", they got two (or even three) for the price of one in a full page strip with topper(s). Anyway, back to Reg'lar Fellers. Many cartoonists when forced to do a topper looked back at old series they had done, and resurrected one for the topper. Byrnes, who had lots of those under his belt, went a different way. He reasoned that his snails and puppy dog tails-fueled boy strip should offer something from the distaff side to even things out. And though he did three different toppers over the ensuing life of Reg'lar Fellers, every one of them featured a girl as the star. 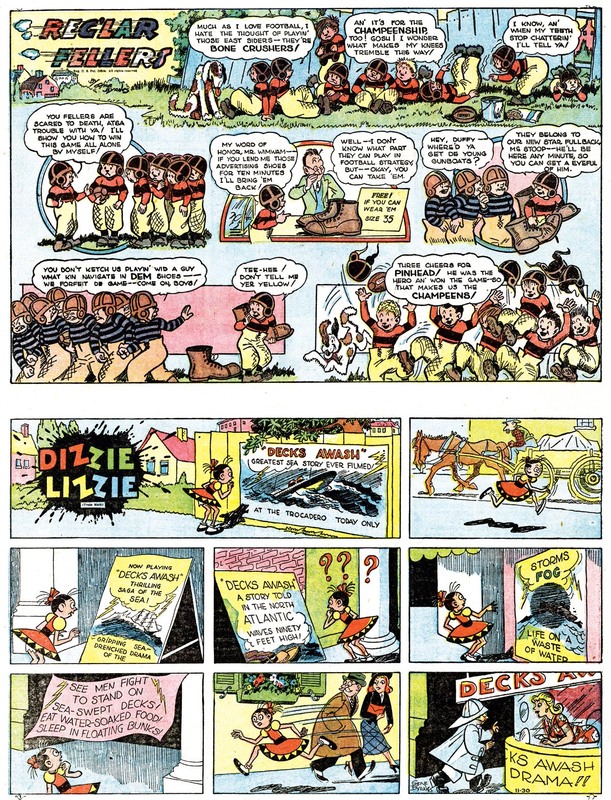 Dizzie Lizzie, featured today, was the second of those three strips. It debuted on August 11 1940, replacing the long-running Daisybelle. And in a classic case of burying the lede, I'll finally get around to telling you that Mr. Byrnes' involvement with this topper was minimal or nonexistent, and the feature seems to be a wholly original work of a Byrnes assistant ... the great George Carlson (read much more about Carlson here at the Comics Journal). Although some say that Carlson was ghosting the whole output of Reg'lar Fellers at this time, I don't see his hand as strongly in the main strip. Perhaps that's simply because he was obeying the restrictions of following Byrnes' style. Dizzie Lizzie, though, is pretty pure Carlson, complete with strong graphic design and wacky gags. 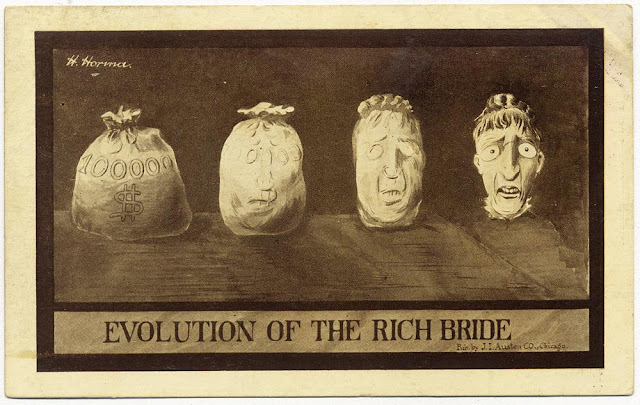 Early strips in the series are extremely striking (see samples in part 2 of the Comics Journal article), while later ones, like the example above, have toned down a little, maybe at the behest of Byrnes. Sadly, Dizzie Lizzie didn't last all that long. It appears to have ended around August 1942 (exact date unfound thus far) when the Reg'lar Fellers Sunday was revamped into a half-page/tab set-up. As best I can tell, no topper would be used until February 1944, when a new girl strip, Zoolie, was added to make a convenient set-up for papers wanting to run Reg'lar Fellers at a third-page size. * not counting Draw It Y'Self, a small panel offering that could arguably be considered a drop panel as opposed to a topper. Fred Fredericks, later to find success as the long-time artist on Mandrake the Magician, tried at least three times to break into the comic strip big time by leveraging his interest in American history. His first attempt was The New Jersey Patriots, which he self-syndicated with limited success circa 1959. That strip seems to have gotten the small syndicate Adcox-Lenahan interested in him, and he offered them a historical strip of an entirely different stripe, a gag feature about the Civil War. I wonder what anyone could find to laugh about regarding a war that was responsible for the violent end of over a half-million American lives, but then again I also find the popularity of Hogan's Heroes mind-boggling. It's not that war cannot be the subject of humor (Bill Mauldin's Up Front comes immediately to mind), but The Late, Late War seems far too jaunty, too cartoony, about it for my taste. Whether my opinion is shared by the nation's newspaper editors I don't know, but The Late, Late War was spectacularly unsuccessful for some set of reasons. In fact I am amazed that the feature got beyond the sales stage with what was apparently a vanishingly small client list. After thinking for many years that The Late, Late War might well be a myth, I finally found a short run in the Hayward Review, and Alberto Becattini says that it also ran in the Elizabeth Daily Journal. No one to my knowledge claims that it ran longer than a few months, so my run in the Review, from June 6 to August 27 1960 may well be complete. Fredericks regrouped from the failure of The Late, Late War and came up with his third American history strip, Under the Stars and Bars, which was also about the Civil War and distributed by Adcox-Lenahan. The new strip took a serious tack, relating the historic events of the war, but also failed to ignite a lot of newspaper interest. Re: the first panel of that junior officer bringing the General captured intelligence in the last strip shown - instantly brought to mind Frank (Short Ribs) O'Neal. Fred Fredricks was a real American history buff, and that he tried several history-themed strips can attest to that. His most successful was UNDER THE STARS AND BARS. he told me that he had completed a few full stories and was ready to go in 1960, but it was held back so to coincide with the centennary of Fort Sumpter in April 1961. for a tiny syndicate, and for (like New Jersey Heroes before it,) a regional appeal series, it did well enough to limp into 1962. He had some stories completed for anoother, Northern appeal series, but it didn't attract enough interest to bother launching it. As for the overly cartoony nature of "The Late Late War", It was after all, a hundred years on, and amidst all the anniversaries then unfolding, it would seem like a harmless enough thing to kid along. Look at the strip our fellow correspondent DD Degg cites- Short Ribs all history gags. Recall a panel called "Our Ancestors"? same thing. If we can laugh at the brutal Ancient Romans, or the ruthless Conquistadors, or the bloody Mongol hordes,Fredricks's whimsical Civil war bunglers can't offend anyone. At least they shouldn't. We've been kidding the civil war a long time. Tonight on TCM they showed "The General". That was a funny film, a comedy epic. It's over ninety years old. If we can't see the humor in history, then I guess they'll have to cancel "Hagar". Benjamin Franklin “Frank” Hammond was born in Clinton, Missouri, on May 31, 1883, according to his World War II draft card which also had his full name. In the 1900 U.S. Federal Census, “Frank Hammond” was oldest of three children born to “J[ohn]. B.” and Ada. Hammond was a potter and his father a carpenter. The family resided in Clinton at 719 Lincoln. Hammond’s art training was mentioned in a profile in the Wichita Eagle Sunday Magazine, August 24, 1969. Hammond came to The Eagle in 1912, doing cartoons and other artwork. Born in Clinton, Mo., in 1883, he took some classes at the Kansas City Art School in newspaper art and cartooning. 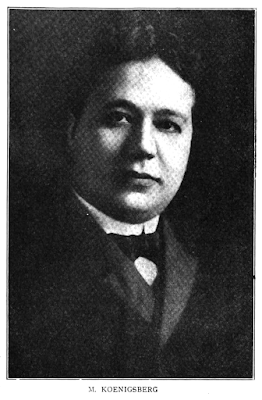 He began his cartoon career on The Kansas City Journal in 1909. Editor & Publisher, March 29, 1919, had this account of Hammond’s art instruction and early work in newspapers. After he had spent some time and some money in the Art Institute in Kansas City, the Kansas City Journal decided it could use some of his work. Later he went to the Denver Times. At this point, Victor Murdock, who was then in Congress, decided he wanted to get out of politics. Some wise bird advised him that quickest and surest was would be to employ a cartoonist on his paper—the Wichita Eagle. Murdock secured Hammond and the plan for getting out of politics surely and swiftly proved a grand success, but by this time Hammond’s cartoons had become a feature of the Eagle, so he stuck to it. Like many aspiring cartoonists, Hammond contributed to his school yearbook. 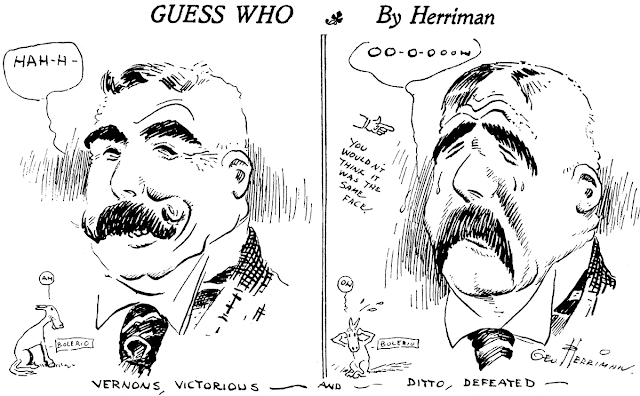 The July 1915 issue of Cartoons Magazine had this report of Hammond’s first newspaper job. It was Judas Iscariot who denied his Master, but it remained for Frank Hammond, now cartoonist of the Wichita Eagle, to deny the pride of his heart. This was in the shape of a little high-school annual published in his home town, Clinton. Mr. Hammond had illustrated it, and the more he looked upon his work the better he liked it. It would be, he thought, the open sesame to a position as cartoonist on a metropolitan daily. Accordingly he took the book, together with a portfolio of sketches, and presently stood before “Doc” Norberg, grand mogul of the Kansas City Journal’s art department. “My heart sank,” says Hammond, “when he began to turn the pages of the annual. His expression was so utterly disapproving that I denied the authorship of each picture in turn. Finally we came to the last page, and in desperation I was forced to claim for my own the very worst of all the bad drawings in the book. In Cartoons Magazine, May 1915, Hammond spoke about his path to becoming a cartoonist. I was born in Clinton, Mo., May 31, 1883. My birthplace unfortunately has been razed, and a lumber yard now marks the spot. At the age of 19 I left home and tried everything that came along, from selling installment goods and soliciting portrait enlarging, to traveling with street fairs and barnstorming theatrical companies. I turned my spare moments to the study of drawing, and a hot municipal campaign in my home town gave me my first chance as a cartoonist. The Missouri marriage records, at Ancestry.com, said Hammond married Elsie Blanche Shaw on September 23, 1907 in St. Charles, Missouri. The 1910 census recorded magazine cartoonist Hammond, his wife and fourteen-month-old daughter Geraldine in Kansas City, Missouri. They boarded with the Nutt family of ten. At some point Hammond moved to Wichita, Kansas. The 1912 Wichita city directory listed cartoonist “Benjamin F Hammond” at 183 North Market. The 1915 Kansas state census said Wichita-resident Hammond had a two-year-old son, John B.
Cartoons Magazine, November 1918, reprinted one of Hammond’s cartoons. Wichita Eagle cartoonist Hammond signed his World War I draft card September 12, 1918. He was described as medium height and build with gray eyes and “nut brown” hair. His home was at 1602 North Holyoke in Wichita and remained unchanged into the 1940s and possibly longer. American Newspaper Comics (2012) said Hammond syndicated Hoots and Quacks from 1941 to 1942. Hammond illustrated the books Hippocrates Jones (1916), Horse and Buggy Days (1927), The Cry of the Newsboy (1928), and When You and I Were Boys (1931). According to the Wichita Eagle, Hammond retired November 1, 1965 and donated his artwork to the Wichita Historical Museum in 1969. Hammond passed away April 25, 1970, in Wichita. An obituary was published the same day in the Wichita Eagle.